You can get free advice about health insurance for pre-existing conditions from a qualified adviser by calling specialist comparison service Activequote. The number to call is on their site, where you can also compare health insurance quotes from a range of providers. Being hit by unexpected health problems or suffering from a persistent, nagging complaint can spur people to start looking at health insurance. Unfortunately, consumers quickly find that many companies are unlikely to cover conditions classed as pre-existing. That can be frustrating and enough to cause consumers to give up on their search for insurance. But many people do not realise that if a few years have passed since they recovered from a condition they have options to include it. Even if your condition is not included in a health insurance policy you can still buy cover for other health problems. Bad experiences relating to a recent condition, such as long NHS wait times, often encourage people to take out cover so that they won’t have to go through the same thing for future conditions. Find out about getting travel insurance for medical conditions here or check out our group for travel insurance for cancer patients. Most insurers define pre-existing conditions as anything you’ve had medical assistance for, including consultations and medication, within the five years prior to buying a policy. That includes chronic conditions or long-term treatment for an issue that might have been first diagnosed more than five years ago. Saga is an exception to the rule because it only excludes conditions that have been experienced in the three years prior to taking out a policy. Most insurers will not cover chronic conditions that require ongoing treatment such as diabetes or hypertension, although we’ve found one that does. Insurers might also say a condition is pre-existing if you have experienced symptoms in the past five years, even if the actual condition was diagnosed before that period. If you have a condition you are concerned about it is worth contacting prospective insurers directly because each one will have a list of things that are simply not covered, whether pre-existing or not. There are other health issues that can be excluded from health insurance policies but are often covered by policy add-ons or separate products. These include dental, eyecare, pregnancy and mental health. Despite all the exclusions, there are health insurance options for people with medical conditions. The financial terminology can be confusing but we’ve made it easier to understand to give you the power to make the right choice. However, some medical issues won’t be covered and never will be, in which case you might want to sign up for health insurance based on future problems you are concerned about. For other issues, if they do not reoccur your policy might cover them after a few years. Most insurers won’t cover a condition experienced in the five years prior to the start of a policy. 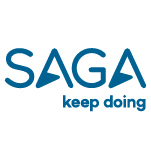 But Saga only excludes conditions experienced in the three years prior to joining. Saga’s policies are only open to those aged over 50, but if you qualify its three-year limit can be hugely beneficial for all kinds of conditions. For example, if you’ve been clear from cancer for three years, including needing to take any medicine or go to any checkups relating to it, you would be covered for it as soon as you take out a policy. For less serious complaints, such as a bad back that you’d been referred to a physiotherapist for but not had any trouble with it since your mid-40s, it would mean you could claim for treatment if it reoccurred. Saga’s policy is worth considering for most types of pre-existing conditions; however, other insurance underwriting options can be better choices for particular kinds of issues. Full medical underwriting, sometimes called FMU or full underwriting, may be best for minor conditions or if you want to be certain what medical problems are included in a policy. Full medical underwriting means you will complete a detailed health questionnaire or provide information about your medical history so that the insurer can weigh up the risks and create a policy and price that reflects your conditions. They may decide to exclude a pre-existing condition, include it after a period of time or cover it from the start of the policy. It is a good option if you suffered from a relatively minor condition, perhaps a couple of years ago, and have had medical advice that it is unlikely to occur again. The process is very transparent, so if you believe it could reoccur full medical underwriting will give you a simple answer as to whether the condition will be covered or not. It is important not to lie or hide anything from an insurer when you take out a policy with full medical underwriting. Occasionally people think they can get away with leaving out details about a condition, but if you make a claim your insurer will investigate it, and if it is rejected you will have wasted the money you paid towards your policy. It’s not worth it. For more serious conditions or if you do not want to provide details of your full medical history it is worth considering moratorium underwriting. You don’t have to fill out a health questionnaire when you apply but if you claim your insurer will request your medical history and any problems you’d also experienced in the five years prior to joining will be rejected. However, if the condition does not reoccur within the first two years of your policy you will then be covered for it after that period, basically, your medical history is wiped clean in the eyes of your insurer. According to NetDoctor, Aviva insures around 30% of its customers on a moratorium basis. The benefit is you might eventually be covered for a condition full underwriting would exclude but the risk is a condition occurs during the moratorium period and it will be permanently excluded. Most insurers use standard moratorium underwriting, however, The Exeter (formerly known as Exeter Family Friendly) is unique in offering a fixed moratorium. You can compare The Exeter's cover and prices on Activequote. If you are under 65 and have never suffered from a heart condition, stroke, cancer or had a joint replacement or joint resurfacing, which are all excluded, it could be a good fit. It is very similar to a standard moratorium but during the first two years of your policy you can seek treatment for pre-existing conditions that aren’t excluded. You cannot claim for them on the policy, but once the two-year moratorium has expired they will be covered, whether you had treatment or not since you joined. Chronic conditions are notoriously difficult to cover. But General & Medical’s personal healthcare policy is unusual in allowing people to pay a higher premium to include certain long-term conditions. Compare General & Medical's quotes and cover on ActiveQuote. ActiveQuote has a dedicated page for information and quotes for health insurance with chronic conditions. You can also call ActiveQuote for free regulated advice about health cover. These are: acne, glaucoma, asthma, hay fever – rhinitis, diabetes, hypertension, eczema and psoriasis. Two of the big ones in that list are diabetes and hypertension, also known as high blood pressure, which millions of people in the UK suffer from. The cover for these specific conditions carries an additional cap of £1,000, which increases by £1,000 a year up to a maximum of £10,000 after 10 years if there are no claims. Standard health policies are unlikely to pay for costs relating to a chronic condition but you might be able to claim for separate treatment caused by it. For example, you wouldn’t be able to claim for asthma medication but if you were hospitalised because of an asthma attack some providers, such as AXA, could pay some of the costs related to getting back on your feet. These claims will be judged on a case by case basis. Furthermore, we've negotiated a deal with AXA PPP. Bought by Many members get a £100 voucher and 50% off gym membership when they buy health insurance from AXA PPP, through our website. You can get a quote here. What happens if you need to change providers? If you already have a health insurance policy that covers pre-existing conditions, it can be frustrating if your premiums increase. That might be because of general annual increases as you get older or because you made a claim. When you shop around for a better price you might find that some providers class your conditions as pre-existing whether you claimed for them or not. And new quotes might be even higher if you made a claim for a condition recently. Some of the options in this situation are similar those available to a new buyer, so it is helpful to understand the previous terms. If you already have a moratorium agreement with your existing provider, you can transfer that to your new provider. It’s usually called a continued moratorium. And if you have any excluded conditions with your existing provider, you can transfer those with a continued exclusions agreement. In both cases, it is important to make sure your new provider is fully aware of any pre-existing conditions and the arrangement you had with your previous provider. Although looking for health insurance for pre-existing conditions can seem daunting, many providers will want to take you on. It’s a case of creating a policy that works for the customer and insurer. Understanding the options and terminology helps you choose the right path and know what to ask for. If you have suffered from health problems, you might be at an age when the chance of experiencing other conditions increases. Health insurance can give you the peace of mind that you’ll be able to receive the best treatment quickly and in a comfortable environment. If you have any suggestions for health insurance groups that we could negotiate fairer rates for send us a message here. We're working to get people a fairer deal on their insurance. Have a look at our health insurance groups here or tell us about any new groups you think we should start. Call Activequote to get a free advice about pre-existing conditions from a qualified adviser.